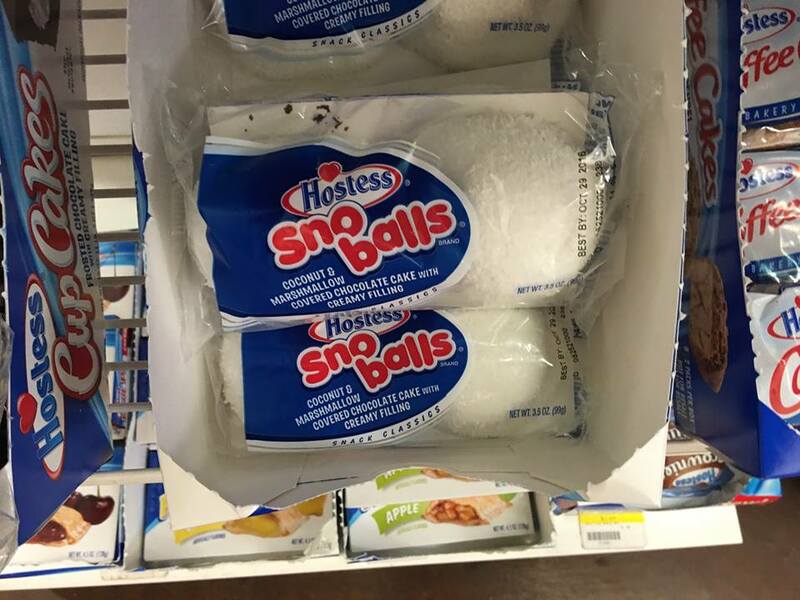 and there they were: Hostess Snoballs. A whole rack of them. And although I know I’ve possibly written about them more than the Hostess company has, I can’t help but write about them one more time. As I stood there looking at the Snoballs, I remembered how badly I wanted to eat and eat and eat them as a kid. How much I believed that they were the promised land. I believed they represented everything I wanted: soft, fluffy, sweet kindness. Snoballs and also, Pepperidge Farm Lido and Milano cookies. Always the sweets. It was as if I felt that a person who would be allowed to eat them without reservation was a person who was skinny and skinny meant lovable. Being loved and cherished. Belonging. Poor Snoballs. They had so much charge on them, and as I stood there looking at them, they were just gooey sticky white and pink fake food. I see this in the eating meditations at the retreat. People say I want this muffin, I need this muffin, even though I am not hungry I have to have this muffin. And I say, yes — and what is it that you want more than you want the muffin? What is that you think eating the muffin will give you? And finally, what is it that you’ve given up on having and so you will settle for this muffin instead? It all gets so twisted in there with food or money or drugs, but most especially with love. With what we do to ourselves for love and then how we use food to defend our vulnerable hearts from the beliefs that it’s impossible, that we’re not worthy, that goodness isn’t for us but at least we can have Snoballs or muffins. It always gets down to love. What do you do, what do you eat, what do you settle in place of what you really really want? Tell me your answers, and be especially aware that this time — holiday time — the whole shebang is charged with expectation, memories, longing, and how all that relates to food.